a look at the fish. Congrats!!! another trophy trout at the Kinu, 16in and obese !!! three consecutive days. Is that record-breaking? Congrats! 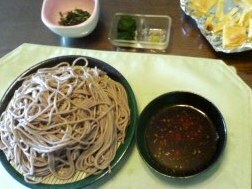 The good season for soba noodles has come!